It’s enough to make your average superhero hand back their lycras! 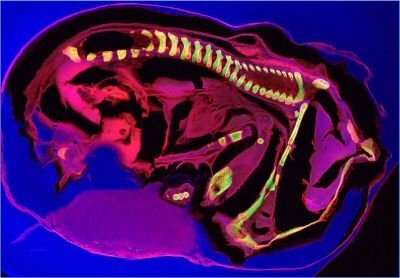 A powerful new x-ray vision and detection system is producing 3D pictures of nanoscale details much faster and with one thousand times more detail than was previously possible. 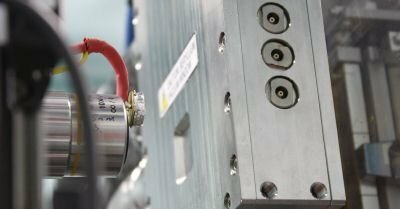 Recently honoured with a prestigious R&D 100 award as one of the 100 most significant technological products to enter the world market in the past 12 months, the new x-ray detector system can probe the trace-element make-up of an incredibly diverse range of materials. Developed by CSIRO in Melbourne and Brookhaven National Laboratory in New York, and sponsored by the Australian Synchrotron and an ARC LIEF grant, the Maia detector system is used with one of the Australian Synchrotron’s most popular experimental facilities, the x-ray fluorescence microscopy beamline. 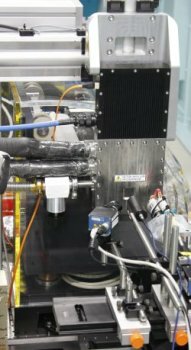 This powerful combination of Maia detector and x-ray microprobe capabilities has already been used to study samples as diverse as cancer tumours, cereal grains, meteorite relics of our proto-solar system, super broccoli and paintings by the masters. Important commercial applications include enabling medical researchers to investigate the role of metal ions in diseases such as Parkinson’s and Alzheimer’s, fine-tuning the nutritional value of superfoods, and providing new knowledge about ore formation processes to assist the minerals industry in its search for new reserves of gold and other metals. And the Maia detector offers more than just speed. It also has real-time output, enabling scientists to see the results while they are at the beamline. This gives them the power to adjust their investigations ‘on the fly’. “In the past if an unexpected result was encountered, a scientist often didn’t find out until they returned to their laboratory or university. Scientists using the Maia detector can modify their experimental focus in real time, which greatly improves the final result,” Keith said.